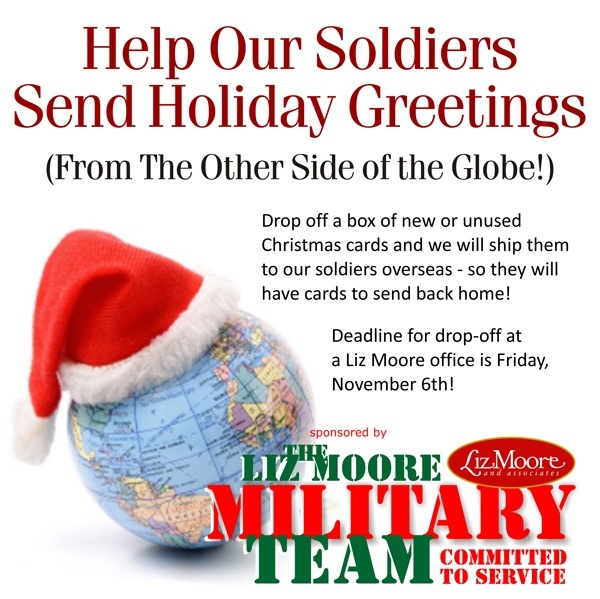 Every year the Liz Moore & Associates’ Military Team collects Christmas cards to send to troops overseas so they have something to send back to their family and friends in the states. Christmas cards are not something available to them while they are stationed overseas. You can help by bringing boxes of new Christmas cards to one of our Liz Moore offices by November 6th. For more information, email us at pcs@lizmoore.com or click below. Help us spread the word and collect more cards than ever!